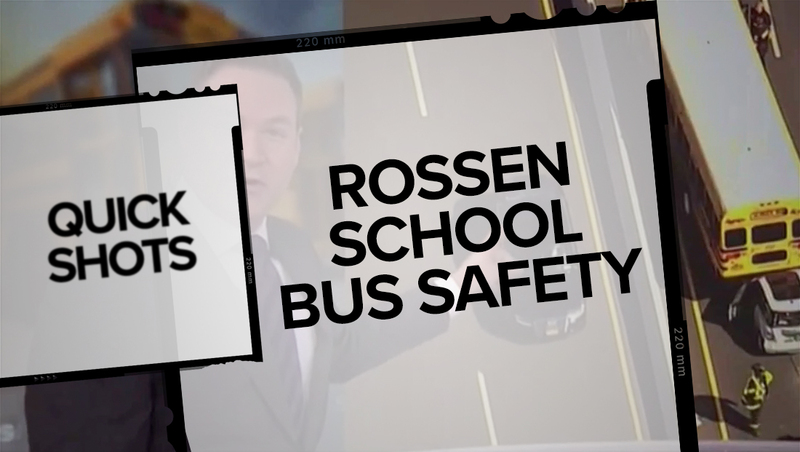 NBC News‘ Jeff Rossen used a personal experience in his intro to a story about new technology for school buses. Rossen, appearing on Thursday, Nov. 15, 2018’s “Today,” under his “Rossen Reports” banner, was shown standing in front of Studio 1A’s 40-foot video wall with the “Reports” logotype over his shoulder. The camera pulled back to show helicopter video from the network’s flagship O&O, WNBC, of a school bus accident that Rossen’s children were involved in. Behind the video was a topical background of school bus photography with “Rossen Reports” microtext.